Since 1997, DeZiel Heating & A/C has been providing West Metro, Wright County, and Buffalo with high quality Heating & Cooling Services. If your Heating or Air Conditioning System is broken or need to be replaced then we are the professional that you want to call. We are proficient at troubleshooting and diagnosing any problems that you may be experiencing. When you need a helping hand from a West Metro, Wright County, and Buffalo Heating & Cooling Professional then give us a call. DeZiel Heating & A/C offers Services Contracts to keep your home comfortable and keep your bank account intact. With a West Metro, Wright County, and Buffalo Service Contract with DeZiel Heating & A/C you will receive Discounted Rates, Same Day Appointments, and Guaranteed Warranty Replacement Parts. Whenever you need Furnace repairs, we’ll be there. Our team of professional and certified West Metro, Wright County, and Buffalo Furnace Repair Technicians work 24/7 to ensure that we are there for you when you need us most. Rest assured that DeZiel Heating & A/C will never leave you out in the cold. 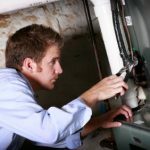 If your heating system is outdated, broken beyond repair and ready to be replaced, our heating installation experts can take care of you. 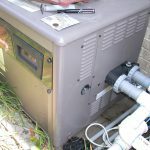 Furnace Heating systems installed by DeZiel Heating & A/C are installed according to the most modern techniques accepted by heating professionals. 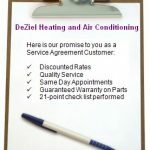 When you call DeZiel Heating & A/C, you will find that we offer flexible hours for convenient appointment scheduling. Since A/C units can go out at the worst possible time, we also offer 24/7 emergency response. 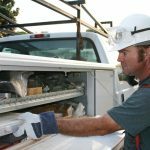 Our air conditioning repair technicians go through extensive training before they are allowed to go out into the field and address the cooling concerns of our customers. 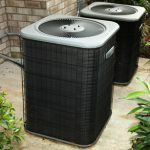 At DeZiel Heating & A/C, were committed to helping you find the right air conditioning system for your needs and budget. 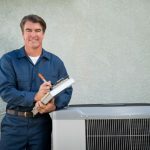 Our air conditioning installation contractors are the ones you can trust to get the job done and help you find an AC that’s right for your home and budget. 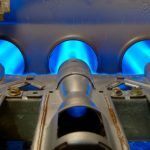 At DeZiel Heating & A/C, We offer 24/7 Boiler Repairs for immediate service needs, and we will send a technician to your home ASAP to quickly resolve the issue. Whatever type of problem your having with your home boiler – whether it’s weird noises, awful odors, no heat, etc. – our heating technicians can take care of it. Whether you are in the market now for a new boiler or just want to learn what’s out there, we urge you to call DeZiel Heating & A/C and find out more about the boilers we install. Clean combustion, extremely high efficiency, economical operation, and longevity are the qualities that are involved with every West Metro, Wright County, and Buffalo Boiler Installation. Heat pumps are a great way to efficiently and evenly heat your home. At DeZiel Heating & A/C, we offer emergency repairs, and annual tune–ups. Our West Metro, Wright County, and Buffalo Heat Pump Technicians know how to keep your Heat Pump System running at its optimum level. Looking for a new way to heat your home? Have you even thought about getting a Heat Pump installed? 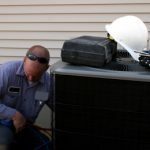 Our West Metro, Wright County, and Buffalo Heat Pump Installation team stays up to date on all the latest heat pump technology and repair methods to ensure our clients get the best service in town. 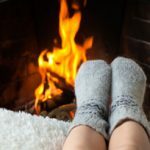 When you need gas fireplace repairs, you want a heating contractor you can trust to get the job done right, without putting your family in jeopardy. Our fully liscensed and insured contractors can effectively repair all you Gas Fireplace problems quickly and safely. 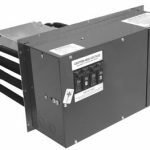 Designed, tested and built to last, a new Plenum Heater is a significant purchase to keep your home warm and energy efficient. If you are looking for a replacement heater or if you need heater repairs then consider calling DeZiel Heating & A/C for your Plenum Heating System. Fujitsu Mini Split Systems are great for West Metro, Wright County, and Buffalo Heating & Cooling where conventional duct systems would be cost inefficient. 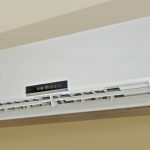 A Fujitsu Mini Split System has many advantages over a typical window unit, such as noise reduction, superior efficiency and keeping your windows closed for safety reasons. Duct Work, Vent Work, and Gas Lines are the hidden components for all your comfort needs. At DeZiel Heating & A/C, our professional West Metro, Wright County, and Buffalo Heating & Cooling contractors are experienced in handling all the required needs for your comfort. 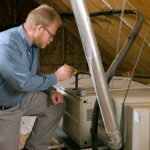 Correct size and installation of your hidden components is needed to keep your home efficient and comfortable. If you are looking for Heating & Cooling Services then please call 763-684-3965 or complete our online request form.